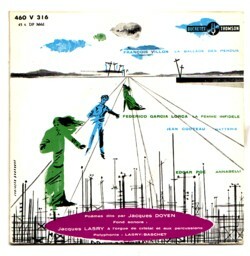 I had not heard of Jacques Doyen, who is reciting some poems on this French E.P., but some of the other names on this record I did know. 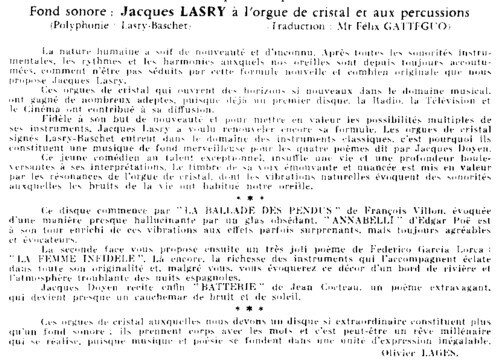 Edgar Poe, Jean Cocteau and most of all Jacques Lasry. Not the kind of names that I find on one and the same record every day. For all the others I choose the track with the most percussion and the least French. It is a poem by Jean Cocteau, called Batterie.